hello all, please excuse any dumb questions i may ask, im new to the impreza world as never owned one or been near one until a week ago when i decided to buy one that is in serious need of some TLC. ok then lets get to the point of this thread. 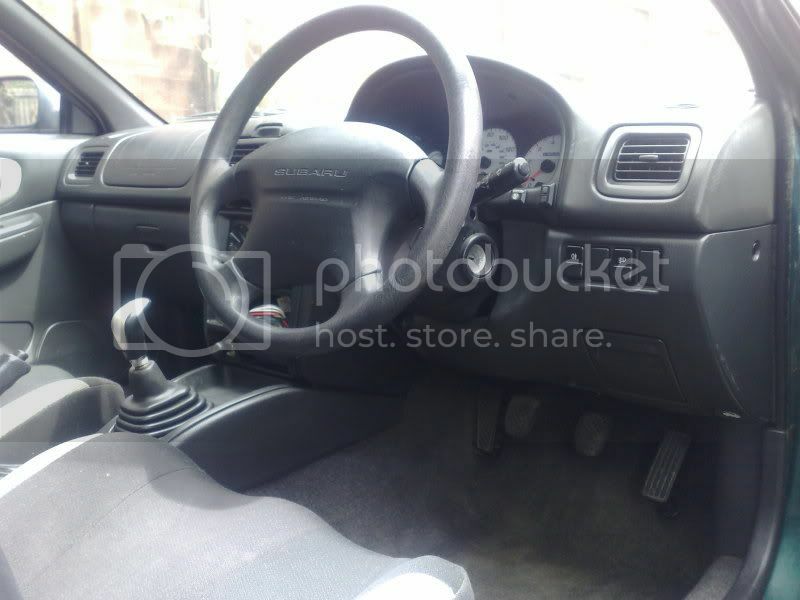 the picture you see is of the wheel that is presently on my uk impreza turbo 2000 awd and im wanting to know what it originally belongs to as the horn in the middle doesnt work and its been put on a small button fixed to the side of the steering column cowls. 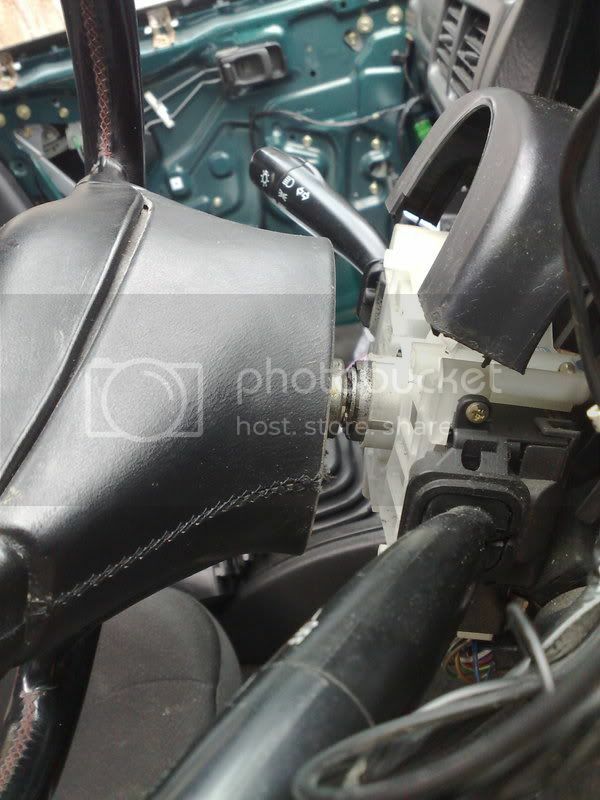 and this picture shows the hoofing great big gap with no contacts between the wheel and the storks where the contacts should be, hence the reason the centre doesnt work. what i wanna know is, if this wheel shouldnt really be on this car or if there is an extra component that fits between the wheel and the storks to enable contact between the two so i can get rid of the button on the cowl. alternatively if anyone would want this wheel in exchange for the original wheel that should be on this car. im open to suggestions. 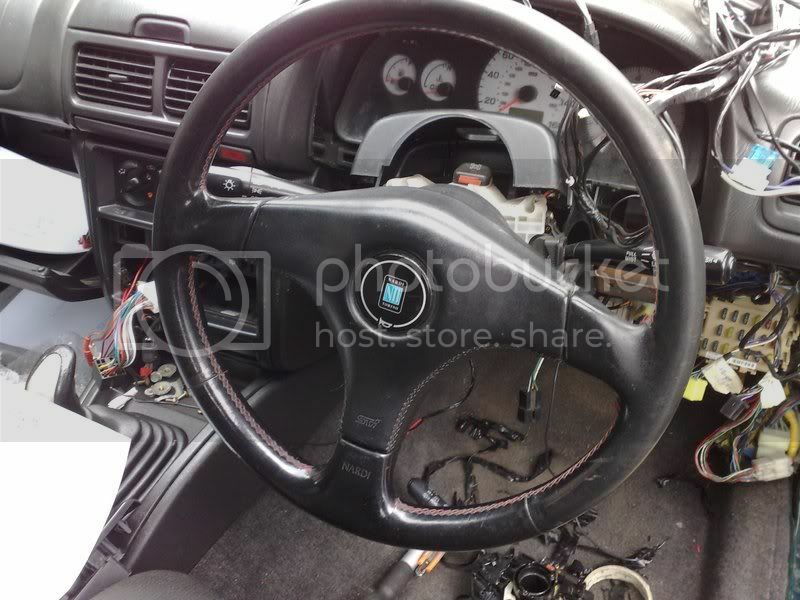 You have a NARDI STi steering wheel. Its from a 97 STi 3 Type R.
cheers m8, thankyou very much, one question dealt with, now the rest. You're missing the clockspring - which is why your turn signals dont cancel and your horn does not work. thanks for the info subie, nice site btw, i now see what you mean by the clock spring, even though mine is a 98 model im sure the principal is still the same, now i know it comes as a seperate piece and not part of the storks i would probably be able to get one from my local scrapyard. thanks for the assistance. MOMO makes one but it requires modification to fit! hello all, sorry its been a while, had an hectic year with work an all, decided to restore it all back to stock which in my opinion is quite nice anyway. decided to restore it all back to stock which in my my opinion is quite nice anyway.